I Keep a Clean Home. Why Do I Need an Air Purifier? What Are Some Common Air-Cleaning Components in a Purifier? Are Air Purifiers Safe to Use Around a Baby? Will the Air Purifier’s Fan Disturb My Baby’s Sleep? There are two universal wishes all parents have for their baby – good health and safety. That’s why parents will shell out money for items like high-end car seats, safety gates, outlet covers and baby monitors. 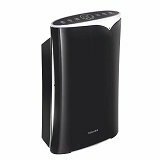 However, an air purifier is one product that people often overlook when making their baby-related shopping list or registry. While whole-house air purifiers are available, most people prefer portable models. Portable air purifiers are similar in size to space heaters and humidifiers, and they are less expensive than whole-house models. These appliances are designed to eliminate the airborne contaminants that commonly plague homes and lead to certain illnesses. No house is immune to airborne pollutants. In fact, research by the Environmental Protection Agency shows that indoor air is generally twice, or more, as polluted as outdoor air. Why? Airborne contaminants come from numerous sources, including everyday activities and frequently used products. Cooking, cleaning chemicals, fireplaces, perfume and flooring are just a small number of culprits. Pollutants can also come from pets, furniture, dust, undetected mold and pollen on the bottom of your shoes. The list is virtually endless. Every air purifier uses a different combination of methods to clean the surrounding air, but the mechanics are typically the same. An air purifier draws in the air with the help of a fan. Then, the air is directed through one or a series of components that either trap allergens and contaminants or destroy them. 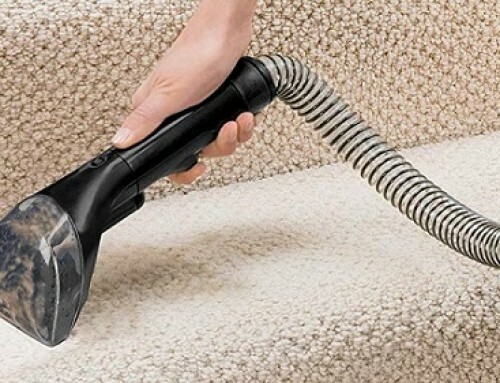 After the air goes through this cleaning process, the particle-free air released back into the room by the same fan that collected the dirty air. The components in an air purifier that are responsible for cleaning the air can be broken down into two categories – filters and other technology. At a minimum, an air purifier will have a high efficiency particulate air, or HEPA filter. A HEPA filter is a must-have in an air purifier as it is able to capture 99.97 percent of dust, dander and other particles. Many air purifiers also have a carbon filter, which gets rid of odors through the adsorption process. Then, there are the non-filtration technologies. Some air purifiers are equipped with an ultraviolet-C light. This light falls on the germicidal spectrum. UV-C light takes apart viruses and bacteria at the molecular structure, leaving them unable to infect those who come into contact with them. Select air purifiers have an ionizer. This machine releases negative ions. In turn, these ions attach to contaminants, making them too heavy to stay suspended in the air. Air purifiers pose no health risks to infants. In the first 3 months of life, an infant’s immune system is underdeveloped. An efficient air purifier can help prevent RSV, the flu and other ailments that a baby’s developing immune system can’t fight. Absolutely not. White noise, like that made by a fan, helps most babies fall asleep faster. This type of noise drowns out sounds that infants find jarring, such as street traffic or a television playing in the next room. A baby who regularly gets restful sleep is more likely to be less fussy. Infants whose sleep is constantly interrupted can suffer from a suppressed immune system, learning delays and inadequate growth. Air purifiers can reduce the frequency of broken sleep and simultaneously make the surrounding air healthier. If you want your baby’s nursery to be as clean and healthy as possible, an air purifier can help. Here are this year’s top five air purifiers for babies. This slim tower has a wide base that prevents tip-overs. With up to 200 square feet of coverage, it’s ideal for the average-size nursery. The AeraMax D85 offers four types of purification, including an antimicrobial-treated true-HEPA filter, a carbon filter and a PlasmaTRUE ionizer. 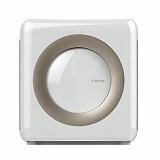 Certified as Asthma & Allergy Friendly, this air purifier has an average clean air delivery rate, or CADR, of 69. 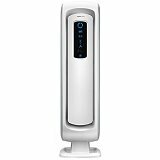 With three fan speeds from which to choose and an AeraSmart air quality indicator, you can manually change the settings or leave the adjustments up to the purifier. It even has a lock-out feature that keeps curious hands from pressing the touch panel’s buttons and a night mode that dims the lights for peaceful sleep. The AIRMEGA 300 works smarter, not harder. 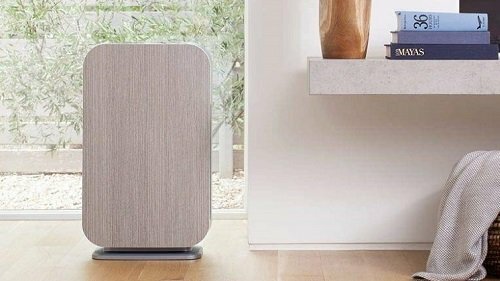 This cube-like purifier sits on four sturdy legs for the ultimate stability, and it’s super quiet with a sound output range of 22 to 52 decibels. You can keep track of the current air quality with color-coded indicator ring on the purifier’s front panel. With a coverage limit of 1,256 square feet, it’s suitable for the largest of rooms. It features an auto-speed mode and an eco mode, which reduces the fan speed after 10 minutes of continuous healthy air quality. Thanks to a true-HEPA filter and a carbon filter – allergens and odors don’t stand a chance. There are four fan speeds from which to choose and an 8-hour timer. If you want your baby’s room as quiet as possible, sleep mode helps you accomplish this. Biota Bot’s MM208 Air Purifier is packed full of every air purification technology available. It has a large-particle pre-filter, a true-HEPA filter and an activated carbon filter. Biota Bot also integrated a UV-C light and an ionizer into the purifier’s design. The HEPA filter is so effective that it traps PM 2.5 particles, which are pollutants small enough to get into your baby’s lungs. This air purifier also offers features that make your life easier, such as an air quality indicator, auto mode, sleep mode and a timer. To adjust the appliance to the specific purification needs of your infant’s nursery, there are three fan settings on the touch panel. You’ll also appreciate the filter-change indicator and the filters’ long lifespan of 6 to 12 months. An average CADR of 240 and an Energy Star rating of 58 watts makes the Winix 5300-2 efficient on two fronts. It’s also quiet with a decibel range of 26 to 55. Thanks to a powerful, four-speed fan as well as a true-HEPA filter, a carbon-coated filter and a pre-filter, this purifier can clean the air in a 360-square-foot room at a rate of 263 cubic feet per minute. From the touchscreen, you can set a timer and see the current air quality in your baby’s room. Auto mode adjusts the fan speed for you, and the purifier’s PlasmaWave technology uses oxidizing agents to break down particles and deodorize the air. To soothe your baby to sleep, you can put the air purifier in sleep mode and adjust the LED indicators’ brightness. If you want an air purifier you can trust that doesn’t stick out like a sore thumb against the backdrop of your baby’s nursery, the all-white Coway Mighty Air Purifier is it. 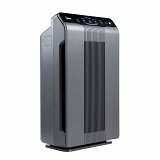 Consuming just 79 watts of electricity, this air purifier is Energy Star rated, and it has an impressive 240 CADR. 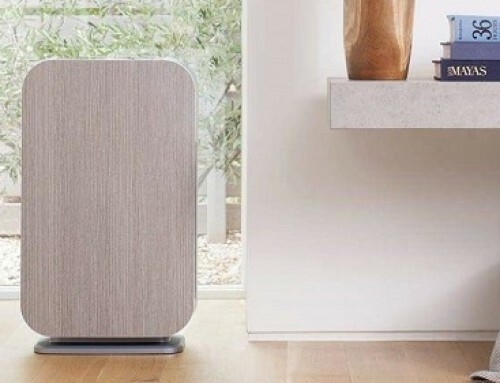 Made for rooms as large as 361 square feet, this purifier is quiet, topping out at 54 decibels. The soft, labeled buttons make operation easy. You can choose from among three fan speeds, and the purifier will use its pre-filter, carbon filter and true-HEPA filter to clean the air. There is even an optional ionizer, and it’s equipped with an air quality indicator. You also have the option of running the purifier in auto mode, programming a timer or selecting the power-saving eco mode. The market is inundated with air purifiers. 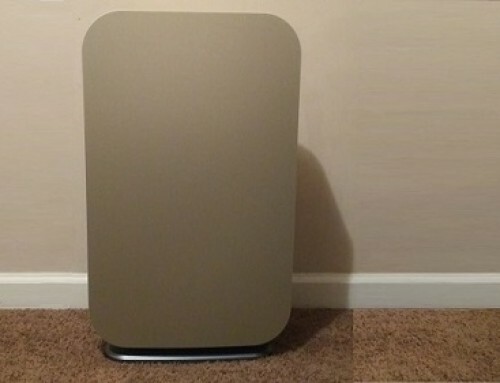 An air purifier that suits one family may not be the right fit for another. To get the most value for your money and the best air purifier for your baby, here are the main shopping points you need to consider. Obviously, you want your baby to get the most protection possible against allergens and germs. Certain purification technologies like ultraviolet-C light and ionization boost an air purifier’s filtration power. An ionizer, or anion generator, keeps pollutants out of the air and makes ultra-tiny particles large enough for the purifier’s filters to trap. When you hear the word ultraviolet, your thoughts may turn to cancer and skin damage. While UV-C light destroys bacteria and viruses, it’s harmless to humans. Unlike the dangerous UV-A and UV-B light that you block with sunscreen, UV-C light falls on a shorter wavelength of 200 to 280 nanometers. In air purifiers, a UV-C light bulb is inside of the appliance, so it never comes into contact with you or your baby, just the purifier’s filters. A wobbly air purifier simply won’t do for a nursery. When shopping for your baby’s air purifier, closely examine the bottom of the appliance. It should have a base that’s wider than the width of the purifier, especially if it’s a tower unit. If the purifier has legs or feet instead of a flat base, make sure the bottoms are made of anti-skid material. A fan produces white noise, but some fan speeds may make too much noise, leading to disrupted sleep cycles. Almost every air purifier has at least three fan speeds. Some even offer a sleep mode that puts the fan on its lowest speed as soon as you push the corresponding button. If sound is a concern, most manufacturers list their air purifiers’ noise output. Ideally, the decibels should be in the 50s or less. The same lights that display the nursery’s air quality, make the buttons easier to see and indicate the activation of purification modes can also cause a fitful night’s sleep. While sleep mode always turns down the fan speed, it may also reduce the lights’ brightness in select air purifiers. Alternatively, some purifiers have a separate button that lets you increase and decrease the brightness level. Taking care of a baby is enough work, so why pile on extra responsibilities? A lot of air purifiers offer convenient features that will save you time and hassle. For instance, some purifiers have a lockable panel that ensures your baby won’t turn down the fan speed or turn off the purifier if they press a button. There are also air purifiers with modes that change settings for you. In auto mode, the air purifier’s air quality indicator will tell the purifier what fan speed to use. Timed mode makes sure the air purifier turns off after a specified number of hours, and eco mode reduces the fan speed or shuts down the purifier if the air quality remains at a healthy level, so you don’t waste electricity. 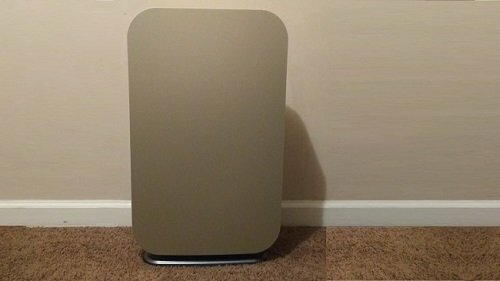 A standard filter has no place in an air purifier. To get the most particle filtration, your baby needs a purifier with a HEPA filter. However, don’t mistake a HEPA-style or HEPA-type filter for the real deal. If you see these terms in the purifier’s specs, this means the manufacturer is trying to pass off the main filter as a real HEPA filter in hopes of saving on production costs while maximizing profits. If the specs say HEPA or true-HEPA, then you can count on it having a 99.97 percent filtration rate. The lifespan and replacement schedule for a filter varies from one air purifier to the next. There are a few filters that are reusable as long as you clean them per the manufacturer’s instructions. Most are disposable and last anywhere from 6 to 12 months. To make maintenance easier, make sure the purifier’s filters are easy to access, requiring no tools to open the cover. When it comes to the control panel, you don’t want one with a sharp learning curve. Look for an air purifier that has a control panel with labeled or logically illustrated buttons. Backlit buttons can help you make setting changes in the dark, so you don’t have to turn on the bedroom light and wake up your baby. Flat panels won’t collect as much dirt and grime as raised buttons, making them easier to clean. You don’t want to buy a space-hog for an air filter, especially if your baby’s nursery is on the small side. When you find an air purifier you like, make a note of its dimensions. Then, measure the area where you want to set up the purifier. Don’t be caught off guard by an appliance that’s too small for the room. While looking at the dimensions, pay attention to the room size the air purifier can handle, which is given in square feet or square meters. While on the search for an air purifier, you’ll come across multiple acronyms that refer to an air purifier’s efficiency. If you see that it has an Asthma & Allergy Friendly certification, the purifier has the Asthma and Allergy Foundation of America’s seal of approval. An Energy Star rating means that the air purifier won’t hike up your electricity bill. CADR is another common acronym. Standing for clean air delivery rate, it tells you how well the purifier is able to get rid of smoke, pollen and dust particles in the air – The higher the number, the better the efficiency. CFM, or cubic feet per minute, lets you know how much air the purifier can clean in 60 seconds. Keep the air purifier out of your baby’s reach. Although most air purifiers are built to remain steady on a flat surface, tip-overs can still occur when purifiers are rocked or pushed. If your baby isn’t sleeping soundly, the lights or fan noise emanating from the air purifier may be to blame. Just like adults, some infants are extra-sensitive to stimuli. An air purifier with a sleep mode, multiple fan speeds or adjustable indicator lights allows you to create a sleep environment tailored to your baby’s needs. Dirty filters can obstruct the flow of air, causing a reduction in performance. To prevent this problem, follow the manufacturer’s maintenance schedule. Clean the filters as instructed if they are reusable, and always replace the filters on time. 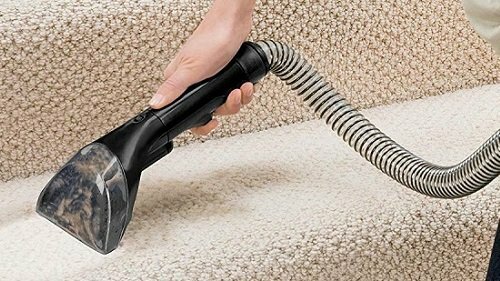 🥇 Best Spot Cleaners: What is the Best Spot Cleaning Machine for Carpets? About Air PurifiersLooking for the best air purifier? HouseholdMe has honest reviews on air purifiers. There are several surprising benefits of air purifiers, and you read about those on this website! Are Air Purifiers Worth It?